Located in the Northwest of Vietnam (Việt Nam), Sapa hides many wonders of the nature scene as well as people. This “under clouds” town attracts many tourists due to its spectacular mountain views and many unique experiences of discovering the life of ethnic minorities. Sapa is a mountainous district of Lao Cai (Lào Cai) province, a land of modest, quiet but it hides many wonders of the natural scene. 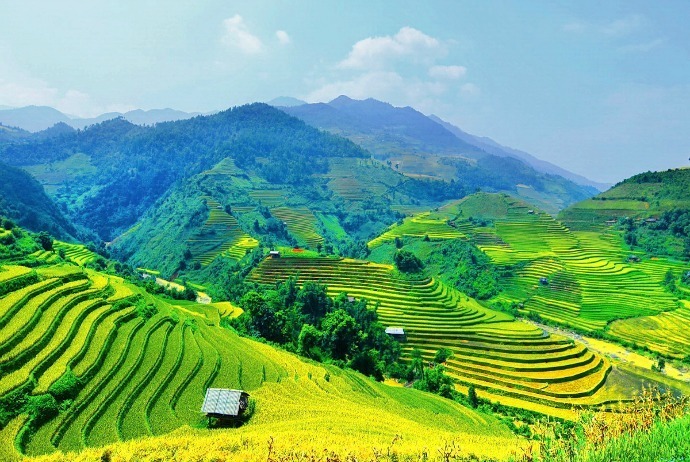 The natural landscape of Sapa is combined with the creativity of human beings, along with the topography of green forests, hills, creating a painting which has an arrangement of harmony layout creating a region having many romantic, appeal scenes. 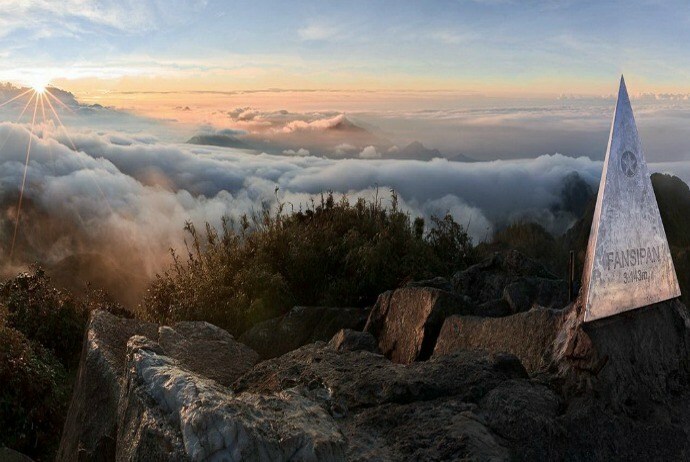 From the city center, you can release your eyes to admire the untouched mountain peaks. 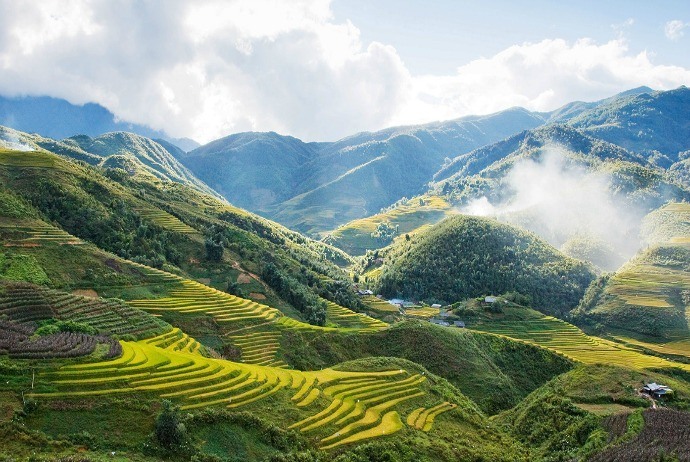 When traveling to Sapa, tourists can have a chance to conquer the famous Fansipan peak or have a backpacking trip to the villages hidden in the mist. 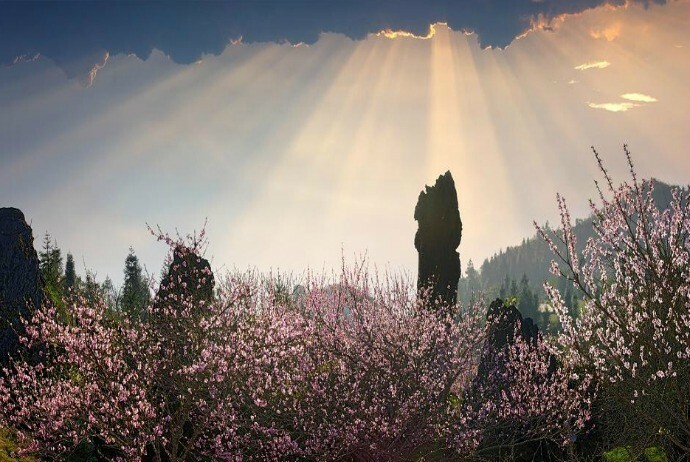 The mountainous scenes with blooming flowers “clouds hugging mountains, mountains hugging clouds” will surely delight any traveler visiting this place. Sapa has an invaluable resource that is cool and fresh air, having nuanced diversity. 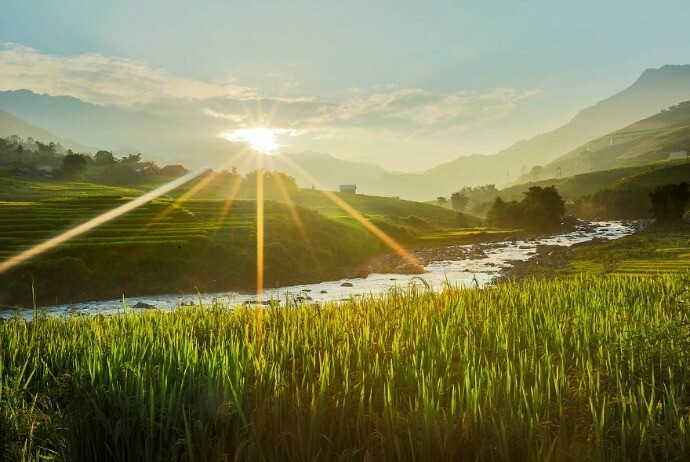 Located at an average altitude of 1,500 m – 1,800 m, the climate in Sapa is similar to that in temperate regions, with an average temperature of 15-18 ° C. From May to August, Sapa has much rain. In the last of year, when winter comes, the temperature in Sapa can drop below 0 degree, sometimes there is snow. II. What Is The Best Time To Visit Sapa? 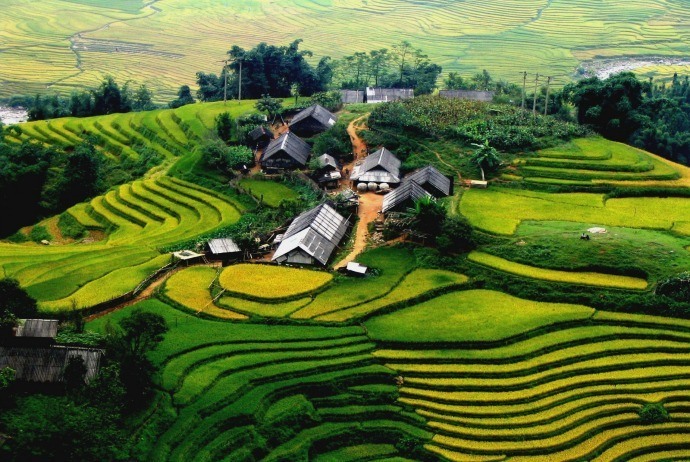 – The right time to travel to Sapa is from September to November or from March to May. In this time Sapa has a stable weather, with dry sunny days, cold nights. From April to May, this is the time when the ethnic minorities transplant rice on the terraced fields. And this is also the season of many flowers blooming beautifully. The scene of rice transplanting is very beautiful, so photo hunters like to travel to Sapa in this season and the season of grain. – From September to October, this is the time when Sapa is covered with golden glow background. 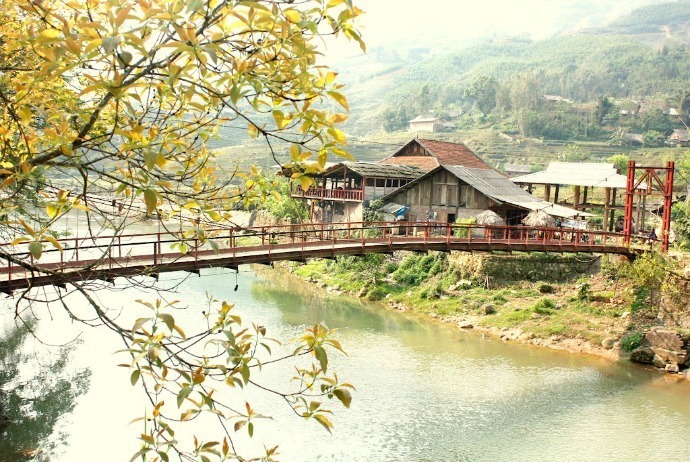 At this time, Sapa seems to put on its body a new color – the yellow color across the hills. However, you had better travel in the middle or end of September because in October, many places have finished harvesting. – From December to February, it is very cold. There may even appear snow and ice. This is also the season of cherry blossom. Sapa town is located about 38km from Lao Cai (Lào Cai) city and 376km from Hanoi (Hà Nội). In order to travel to Sapa, you can choose the train or passenger cars as the means. Viet Bus Coach: Fares of VND 230,000. – Contacts in Lao Cai: 339 Lao Cai (Lào Cai) Station Square. Telephone number: +84 203 828 626. – Contacts in Sapa: No.1 Ngu Chi Son (Ngũ Chỉ Sơn), Sapa. Telephone number: +84 203 887 733. – Contacts in Hanoi : 284 Giai Phong (Giải Phóng) Street, Thanh Xuan (Thanh Xuân) District, Hanoi (Hà Nội) City. Phone: +84 43 627 2727. Sao Viet (Sao Việt) Coach: Fares 210,000 dong. Contacts in Lao Cai: 333B Pho Moi (Phố Mới) ward, Lao Cai (Lào Cai) city, Lao Cai (Lào Cai) Province. Phone: +84 20.3689 689 – Hotline: +84 983 63 38 38. – Office in Hanoi: N2A Building – Tran Binh (Trần Bình) Street – Tu Liem (Từ Liêm) District – Hanoi (Hà Nội) (at the entrance of My Dinh (Mỹ Đình) bus station). Telephone: +84 984. 62 62 62 or +84 4 66 62 62 62. – Office in Lao Cai (Lào Cai) : Lao Cai (Lào Cai) Bus Station – Group 19, Binh Minh (Bình Minh) Ward – Lao Cai (Lào Cai) City. Telephone: +84 203 833 567 or +84 203 65 65 65. Trains have many types of like soft seat, conditioned beds… Trains depart at 9 or 10 pm and arrive at the early next morning. Sapa is a popular tourist destination so there will be a state that train ticket agents and travel companies will “gather” all of the beautiful seats, especially on weekends and high season, guests who usually buy at the station by themselves just can buy the hard seats. To have good seats on the train, you can put mediated (train ticket agents and tour operators), charges are usually 8-10%. Train ticket from Hanoi to Lao Cai (Lào Cai) can be bought easy, but it is harder to buy a ticket from Hanoi to Lao Cai (Lào Cai), so it is the best to prepare in advance. Victoria Express Train departs six times a week, departing from Hanoi Station to Lao Cai (Lào Cai) station for about 8.5 hours in terms of time. With a capacity of up to 52 passengers, Victoria Express train includes two compartments with luxurious beds hand crafted with wood paneling panels, thereby bringing absolute silence and a clear vision to guests. 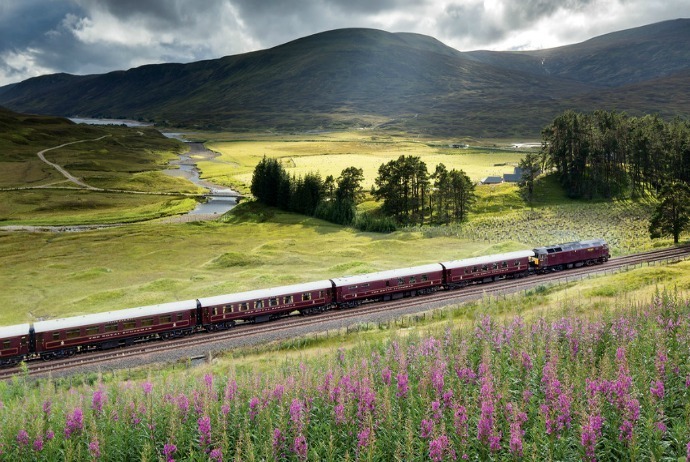 Each compartment includes 6 Superior cabins (each cabin has 4 beds), 1 Deluxe cabin (with 2 beds) and adequate equipment such as air-conditioning, wood floors lining, personal reading lights, luggage lockers and large windows for sightseeing. Trains depart from Hanoi (Hà Nội) station at 10pm and arrive in Lao Cai )(Lào Cai) station at 6:30 am the next morning. Trains depart from Lao Cai station at 9:5pm in the evening and arrive in Ha Noi Railway Station at 5:30 am the next morning. Trains depart every day except Saturday. Option 1: Visiting Sapa, you rent a motorcycle with the cost of about 120,000-180,000 VND / vehicle, not including fuel for driving by yourself to attractions. Note that the way of calculating using days in Sapa is just within 1 day (6 am – 6pm), so the cost when renting in the morning is similar to that in the afternoon. Customers need to pay the vehicle at 6 pm. Option 2: You deal with a “xe ôm” (motorbike taxi) and have him to transport you to some famous tourist destinations, oftentimes; it is about 100,000-150,000 for 4-5 places nearby each other. To not miss the opportunity to explore this beautiful mountain town, the list below will help you up the list of the most attractive destinations in Sapa. Standing on top of Ham Rong Mountain, you will get a panoramic view of Sapa, Muong Hoa (Mường Hoa) valley and Ta Phin (Tả Phìn) hidden in smog. Go to Ham Rong, travelers seem to be lost in the gardens, clouds getting close to the body, and brilliant flowers throughout the ground. Location: In the heart of Sapa town. Sapa stone church built in 1895 is regarded as a most ancient architectural integrity mark left by the French. The church has been embellished and preserved, becoming an integral picture when it comes to smoggy Sapa town. As one of the oldest villages of H’Mong ethnic, this village has still preserved many traditional craft technologies such as growing cotton, flax and weaving. Currently, it has already been built into Cat Cat (Cát Cát) resort. Going along the National Highway 4D toward Southeast, about 8 km from Sapa town, you will find Ta Van Giay (Tả Van Giáy) village. 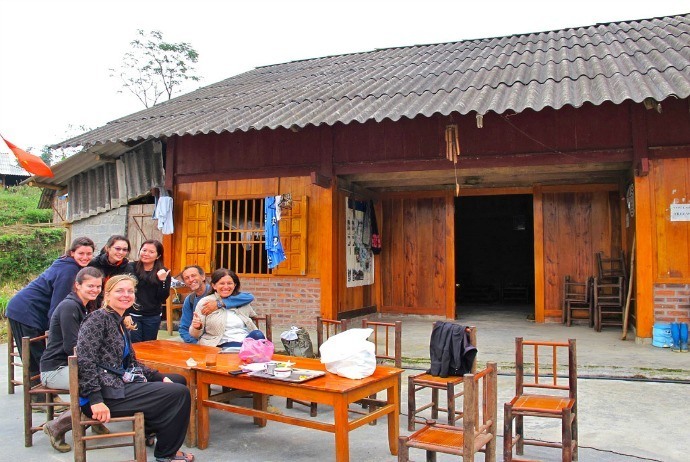 Here, visitors will have the opportunity to learn more about the lifestyle of Giay (Giáy) people. The road to this village is small, narrow and is a dirt road. The two sides are fertile terraced fields dotted with green color of young corn and rice. The Sin Chai (Sín Chải) village, in San Sa Ho (San Sả Hồ) commune, is about 4km of road from Sapa town center. This village has not been “tourising” so it still retains the original wild character. This is the village of black H’Mong ethnic with a population of about 1400 people. In addition to the cultivation of upland rice and maize, people in Sin Chai (Sín Chải) village also choose the gentle mountains to grow cardamom, a significant source of income in the middle of this ancient valley. It is particular that this valley has ancient stones engraved with different shapes, situated in between trees and terraced rice fields of ethnic minorities. Hundreds of sandstones with carved drawings, those strange characters have not yet determined the origin and meaning. 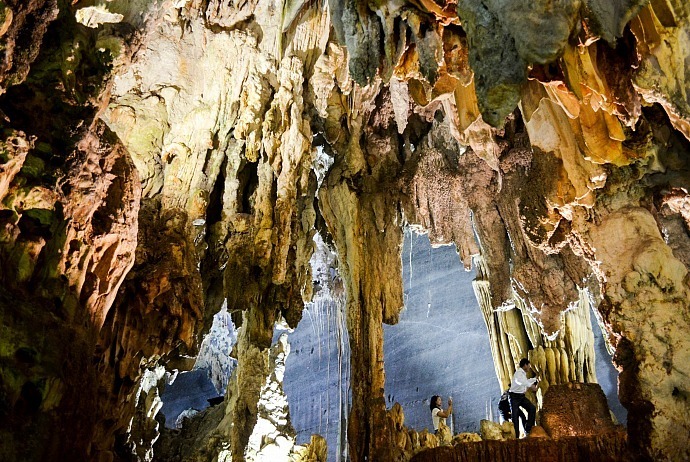 Today, this ancient carved zone was ranked as a national monument, which the unique heritage of the ancient Vietnamese. Muong Hoa Valley also has beautiful streams that stretch for about 15 km, through the communes of Lao Chai (Lao Chải), Ta Van (Tả Van), Hau Thao (Hầu Thào) and end at Ban Ho (Bản Hồ). Location: Hau Thao (Hầu Thào) Commune, 8 km from Sapa town to the southeast. From Sapa town, cross a mountain and pass along the high mountains, you will come to the Muong Hoa (Mường Hoa) valley. Upstream Chay (Chảy) river about 6 km, from the center of the commune Bao Nhai (Bảo Nhai) (Bac Ha district) the boat will take you through Trung Do (Trung Đô) ancient city with many legendaries. Here Chay (Chảy) River gets tightened forming deep, gentle lines weaving between the two banks of the steep walls. The scenic Hang Tien (Hang Tiên) is a miniature of Ha Long, attached to the shrine about Ba Co (Ba Cô) temple belonged to Bao Nhai (Bảo Nhai) commune. Many tourists come here for sightseeing, swimming and being immersed in the sunshine of the flower island. They all pray for beauty, health and wealth. Location: About 6km from the center of Bao Nhai (Bảo Nhai) commune (Bac Ha (Bắc Hà) district). Fansipan is the highest mountain of the Indochinese Peninsula (3,143 m), located in the center of Hoang Lien Son range. You can take the tour of the tourism companies or organize the tour by yourself with the navigation of local ethnic H’Mong, Dao people. On the way up the mountain, visitors will discover the attractive flora and fauna, and nature. There are many Hoang Lien (Hoàng Liên) trees – a precious medicinal herb, precious woods, animals like grouse, bears, monkeys, antelope, and birds, etc. Or you can also choose to take the cable car. The Fansipan cable car went into operation in 2016, has helped tens of thousands of tourists arrived Fansipan to admire, explore, conquer the highest roof of Indochina. This is also the cable car gotten the Guinness certification for 2 scores: the three-wire cable car station having the biggest difference between the distance from the departing to arriving station in the world – 1410m and the longest three-wire cable car in the world – 6292.5m. The time to admire Fansipan now has also been shortened from two days to just 15 minutes. Location: about Sapa 9 km from Sapa town to the southwest. From Sapa town, go to the west about 11 km on the road to Lai Chau (Lai Châu), you will see Silver Fall (Thác Bạc) flowing down from a height of over 100 meters into the stream of O Quy Ho (Ô Quy Hồ) valley, creating impressive sound of mountain and forests. However, during the dry season, you should consider visiting Silver Fall because there is very little water in the fall. 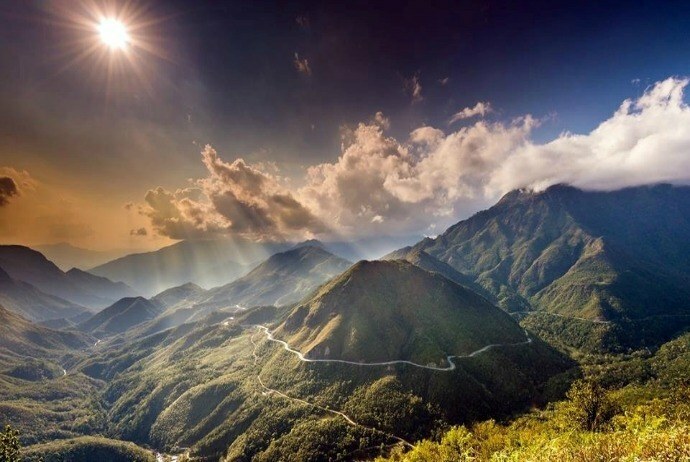 Go to 3 km further away from Silver Fall, you will come to Sky Gate (Cổng Trời), from which you can watch down the Lai Chau (Lai Châu) valley and the majestic Fansipan peak. If you like to walk, you can stop at Tram Ton and pass into the Hoang Lien National Park about more than 1 km to explore Love waterfall. Location: From the town of Sapa, go to the west about 12 km, on the road to Lai Chau (Lai Châu). 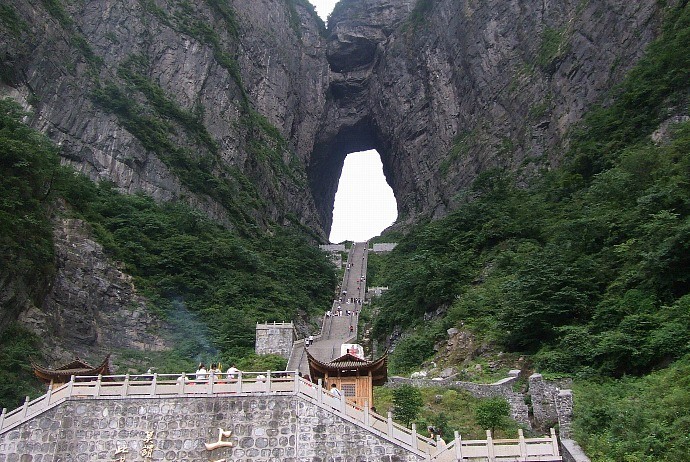 The path up to Sky Gate is zigzag winding the mountain halfway. This road is named Tram Ton, weaving between the majestic Hoang Lien Son range and Sky Gate is the peak of this pass. Standing in the middle of Sky gate in Sapa, you could zoom your eyes to cover the whole vast valley below with green rice fields, and the Silver Waterfall from afar. Also, at this portal, you could sense the glorious feature of the Fanspian peak. Location: about 18 km from Sapa town to the north. 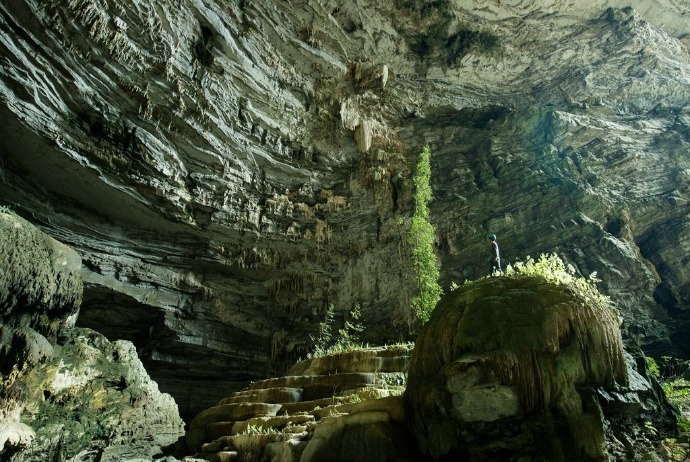 Coc San is a system of waterfalls and caves of different sizes. From the Highway 4D, there is a small dirt road lengthening about 1km leading in Coc San. The road to Coc San is winding, dark and filled by stones, the beauty of Coc San remains completely natural and untouched. There is a special thing about Coc San is that below each waterfall, behind the water poured down from above, there is a cave. The landscape of Coc San is harmonious and spacious. Tourists visiting here all sense the mystical magic from the waterfalls, caves and stones. Location: Coc San (Cốc San) Commune, Bat Xat (Bát Xát) district, 7 km from Lao Cai (Lào Cai) city. Hoang A Tuong Palace has an Asian-European architectural style, creating a harmony with the uninterrupted rectangle close structure. This is a beautiful architectural construction marked the uplands’ feature. Location: at the center of Bac Ha (Bắc Hà) district, Lao Cai (Lào Cai) city. 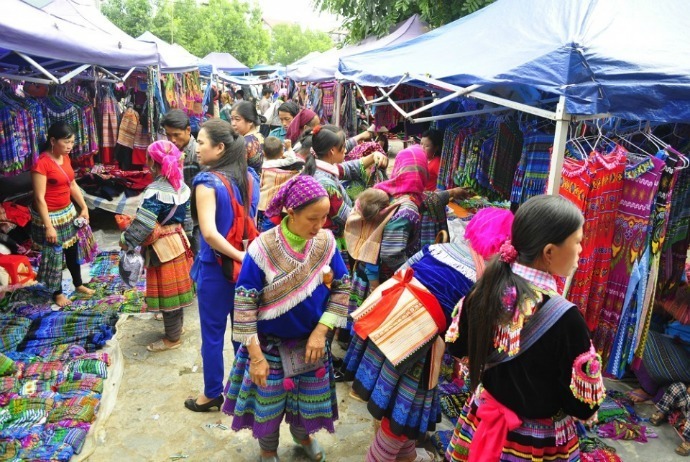 Bac Ha is the largest fair in the area of mountainous border. The market is organized on every Sunday, attracts people around to go to trade and enjoy an entertainment. This is the place for exchange, purchase and sale of minority ethnic people, mostly ethnic minorities from all the surrounding villages. The booths display various essential items such as clothing, shovels or toiletries. 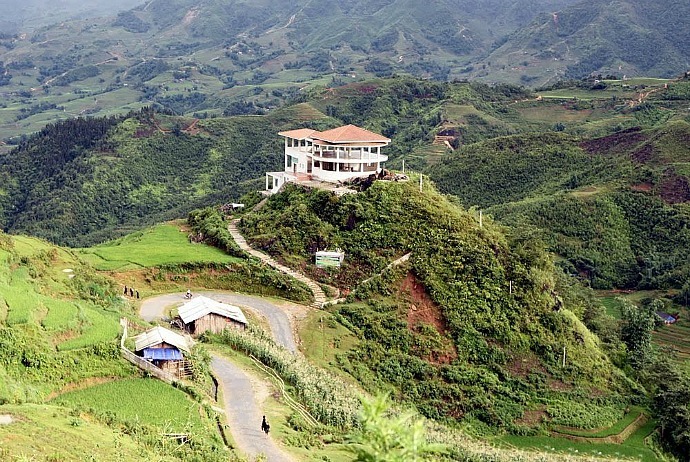 Location: at the center of Bac Ha (Bắc Hà) district, 60km from Lao Cai (Lào Cai) city. 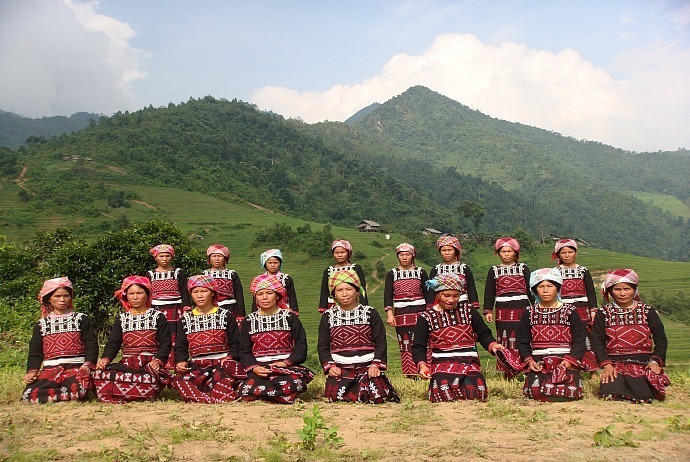 Visiting Sapa at the end of the year, you will have a chance to take part in unique festivals of people here. Each festival characterizes the culture of each ethnic minority, which is very interesting and unique. Every year, on Lunar January, Giay (Giáy) people in Ta Van (Tả Van) (Sapa District) organize Roong Pooc festival to pray for good harvests, health, and favorable rain and wind. 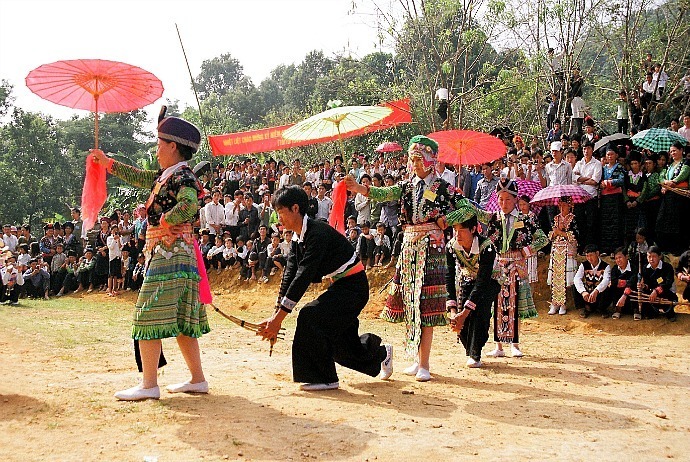 Despite of being a traditional festival of Giay in Ta Van, recent years, this festival has spread, becoming the festival of the whole Muong Hoa (Mường Hoa) valley. In the Roong Pooc festival, apart from unique rituals, there are many games, dancing and orchestra, trumpet playing taken place lively. Every year, on lunar June, the villages of H’Mong, Dao, Giay in Muong Hoa all gather in the temple in Tan Van village to celebrate “Nao Cong” ceremony. Each family will send a representative, regardless of male, female, old, young. This ceremony is celebrated with the aim of praying for good harvest, health for both people and animals. In addition, during the ceremony, the header will announce general conventions and this event will end with the cheerful dining. “Tet nhay” is the important festival and prepared quite elaborately of Dao people in Ta Van (Tả Van). It is usually held on the 1st or 2nd of Lunar New Year. The main content of this ceremony is praying for “the saddle material prosperity”, “Drinking water, remember its source”. The activities in the sacrificial ceremony are extremely unique with 14 dances of some chosen young men and women, or unique rituals performed by shaman. 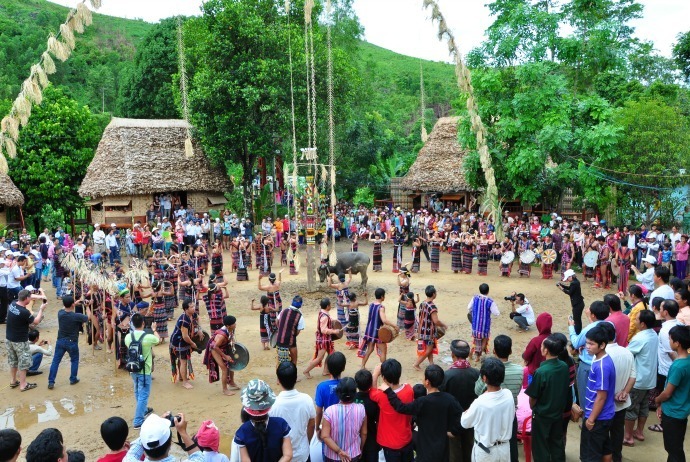 This is the festival of the Red Dao (Dao Đỏ) in Giang Ta Chai (Giàng Tả Chải) (Ta Van (Tả Van) – Sapa) which has an educational meaning to the villagers, preventing deforestation. Currently, the “Nhan Song” festival has been organized just when the forest is damaged too much or the cattle graze out the crops. During the ceremony, “Chau Chieu” (Chẩu Chiếu) – the head of the forest elected by the villagers will stand to announce legislation to prevent deforestation and punish those people who violate. After discussing, Chau Chieu will sum up the convention, each person will voluntarily comply. Hmong people in Seo Mi Ty (Séo Mí Tỷ), in Den Thang Ta Van (Dền Thang Tả Van) as well as Lao Chai (Lao Chải), Hau Thao (Hầu Thào), previously hold a similar festival called “Nao Song” festival. The day of worship is often the “Thin” (Thìn) day of Lunar January. The content of this celebration is expanded than that of Dao people. In addition to forest protection and control of animal grazing, the convention also refers to the issues of theft prevention, crop protection and support between villagers. Every year, people in Xa Pho (Xà Phó) village celebrate the celebration of village sweeping on the “ngo”(ngọ) or “mui” (mùi) of lunar February, with the purpose of praying for peace, lush crops, and healthy animals. 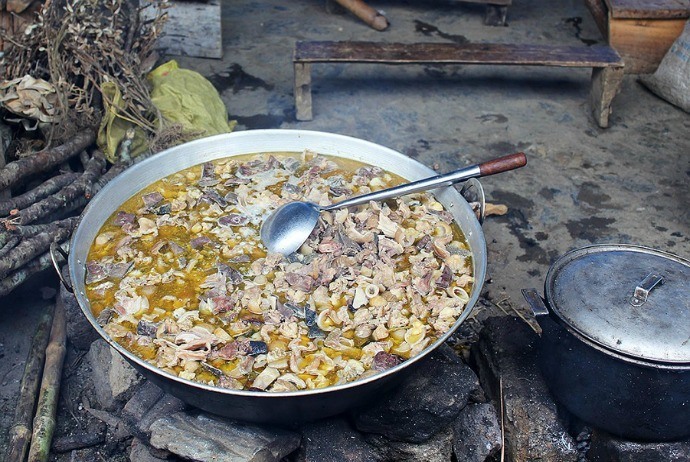 During the celebration, each person contributes pigs, chickens, goats, dogs and rice to make a meal for worshipping the ghosts. At the end of the ceremony, people eat happily together. The foods worshipping for to the ghosts need to be eaten and are not brought into the village. The festival is celebrated with two purposes: praying for destiny and happiness. A homeowner, who does not have children, has little children, or children of one gender, will celebrate to have the fortuneteller open the Gau Tao (Gầu Tào) festival to wish for the child – this is blessing for happiness. Another homeowner who is often sick, or has weak children or even children who died, or cattle and crops faded away can also have the fortuneteller open the festival – this is praying for better destiny. The festival is often celebrated in the early stage of the year. This festival is celebrated in early spring by Tay (Tày), Dao ethnic in Ban Ho (Bản Hồ) commune, Sapa town, Lao Cai (Lào Cai) province, opened in the morning of the 8th annual Tet (Tết) holiday. The first part is the celebrating part in which people will bring the soil and water to communicate with the divinity. The festival part starts with dances and folk entertainment of the Tay and Dao. However, the most prominent and fun part is “xoè” performances, when the trumpet sounded and Tay (Tày) girls start their “xoè” with graceful, skilful movements and then invite many people to join. When the “xoè” performances end, people gather at the gaming area. The games here are mostly folk games such as stick pushing, “con” throwing, tugging…. Conquer the roof of Indochina is the dream of so many young people. If you like to challenge and win yourself, why don’t you take action now? 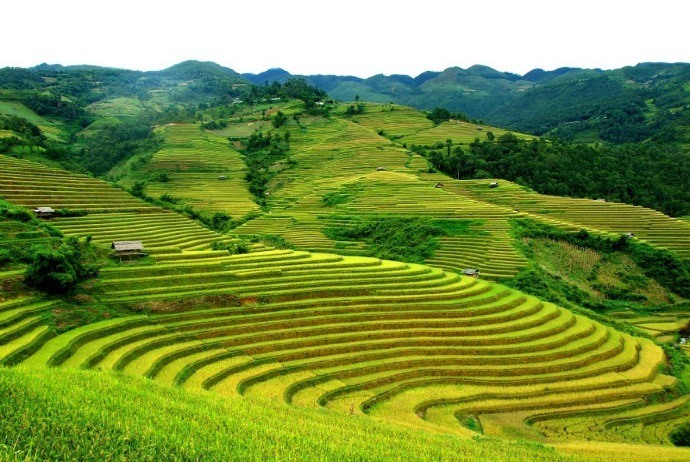 Terraced fields in Sapa were honored as one of the great terraced fields in the world. Nature gave people in this area not only an ideal landscape and climate, but also skillful hands. For hundreds of years, they weave masterpieces – these are the stairs leading up to the sky. In September – the wheat harvest season, it is time to replace the green fields with golden ones. This is a fascinating time to go to Sapa. Observe the town from atop the 1800m high tower Ham Rong is an exciting experience that anyone should try to Sapa Town in a different perspective. Roads, hotels and resorts under your feet suddenly small. 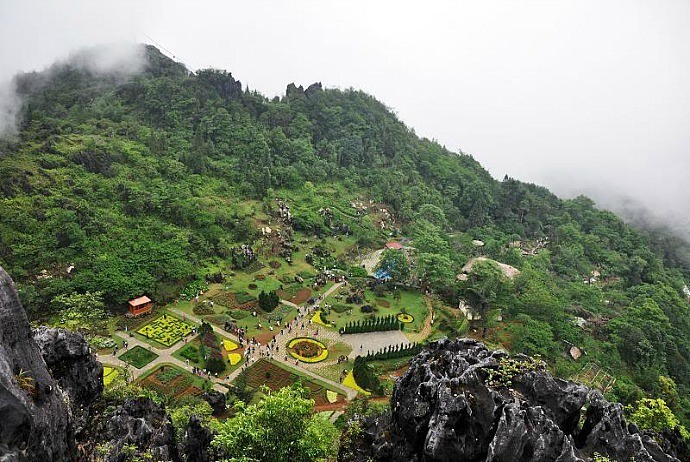 Not only that, on the Ham Rong Mountain you also enjoy the colorful flower gardens and stone wool through small canyon in Thach Lam (Thạch Lâm) stone garden. The chilly morning wind will make you shivered. Just embrace a cup of warm coffee in hand; with the fried egg plate adjunction, and look over the window at a hotel with nice views, you will see a light Sapa in the morning dew. Until sunset, sun steadily disappears behind Hoang Lien Son Mountains, Sapa is dyed with a purple color. There is something romantic and slightly sad. Walking in Sapa will bring to you unforgettable experiences. 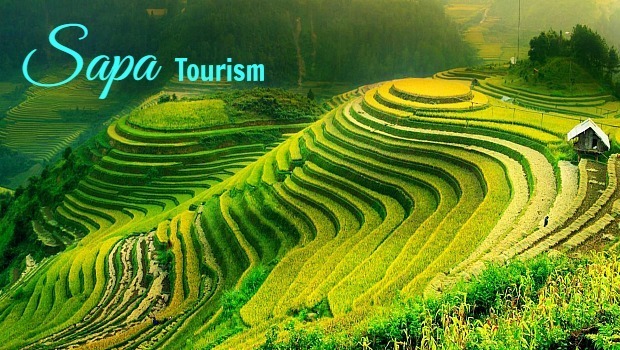 Sapa is one of the tourist destinations in the world that are longest for tourists. 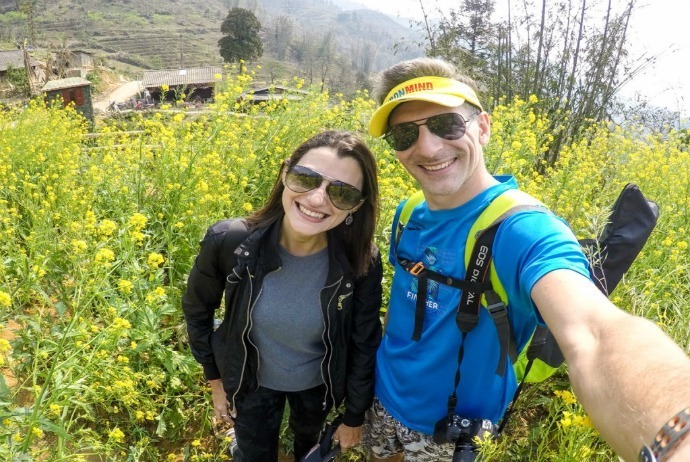 Visiting Sapa, you will walk a dozen kilometers, walk from morning to afternoon, and pass the town, villages, paddy fields, small streams, bridges…. 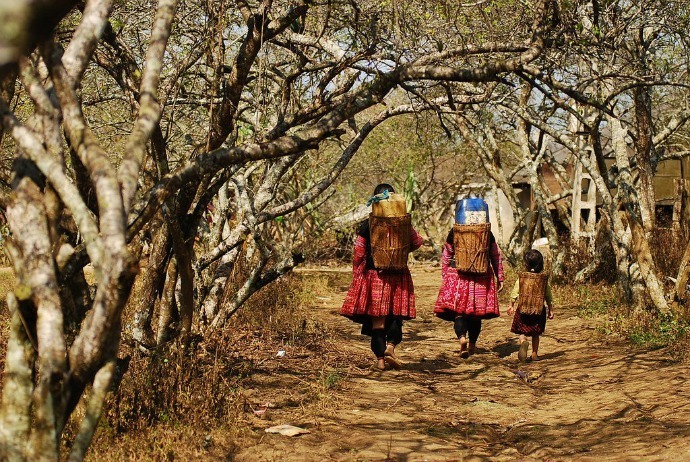 By slowing down, you can observe and learn more about the life as well as the culture of the indigenous people here. 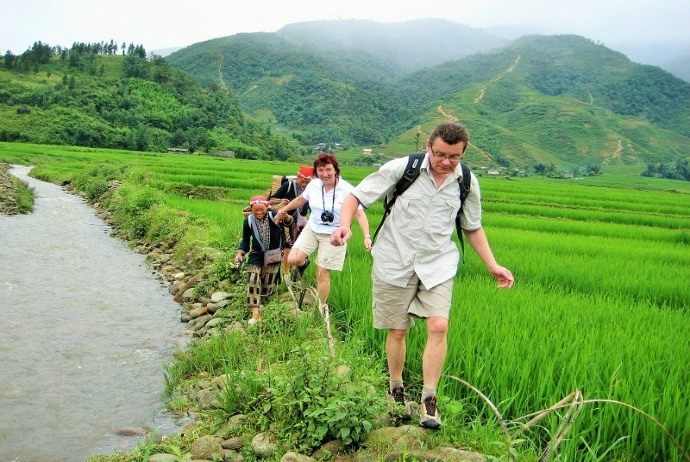 The tourist destinations for walking could be Sapa ancient town, Cat Cat (Cát Cát) village, Muong Hoa (Mường Hoa) valley, Ta Van (Tả Van), Ta Phin (Tả Phìn)…. Coming to Sapa, staying at a home of an ethnic family, eating some featured folk dishes, waking up in a remote village far from the town center will be a great experience that you could not forget. The homestay service in Sapa is very developed, you could absolutely rest assured about the food and house hygiene issues. 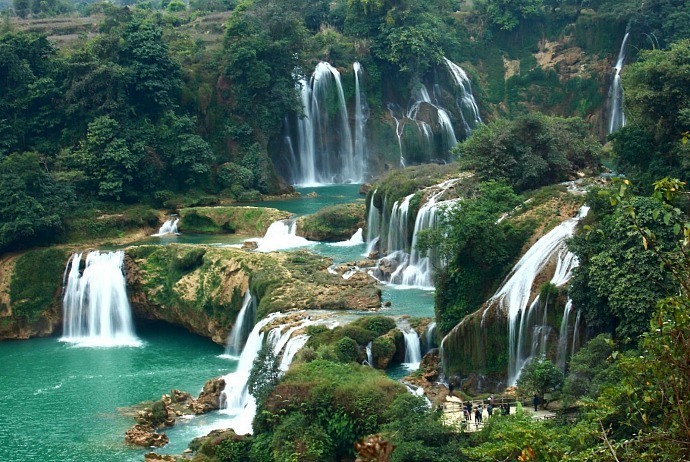 Silver waterfall and Love waterfall are about 12km from the town center, located on the way to Lai Chau (Lai Châu). Visiting these two falls, you will not only feel refreshing while enjoying the cool stream, but also being able to listen to the legendaries about Love waterfall (Thác Tình Yêu), where the 7th maiden met the woodcutter. Due to the passion for his flute sounds, and being forbidden by the god, she turned into the gold feathered bird flying around the mountain and kept crying for three words O Qui Ho (Ô Qui Hồ). Located on the way to Lai Chai (Lao Chải), passing Silver waterfall and Love waterfall, you will visit the O Qui Ho (Ô Qui Hồ) Pass, one of the four large passes of the Northern Mountains. Standing on top of the pass, you will the glide path connecting two provinces, Lao Cai (Lào Cai) and Lai Chau (Lai Châu). Hoang Lien Son (Hoàng Liên Sơn) range is located next to that. 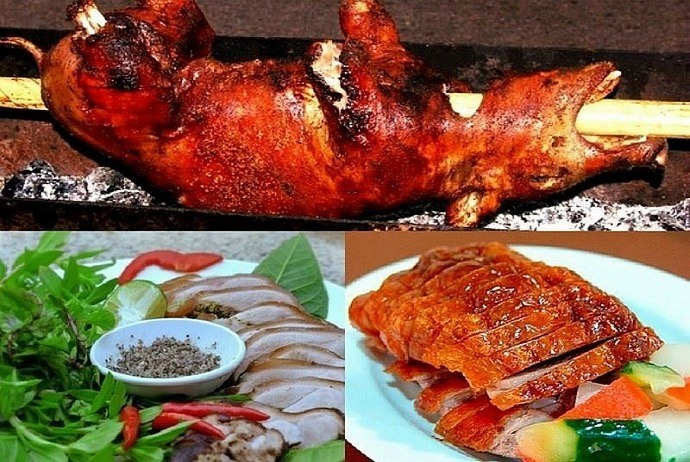 It would be a pity if you miss the fascinating specialties such as mam da, salmon, stream fish, pigs raised in ethnic villages along with fragrant barbeque restaurants at night in the town center. The weather in Sapa is very suitable for enjoying grilled hot pot or sipping some cups of corn wine. If you climb Fansipan, go around the town center and tourist villages, you may not get the new feel when visiting Sapa. There is a place in Sapa having no tourist, noise, dust or commerce…. They are villages in Thanh Kim, Nam Sai, Nam Cang (Nậm Cang)… There will be only you, the sound of forest stream, waving leaves, terrace green fields and spectacular Hoang Lien Son (Hoàng Liên Sơn) Mountain range. It is a peaceful Sapa, just about 2-30 km from the town center, near Muong Hoa (Mường Hoa) valley. 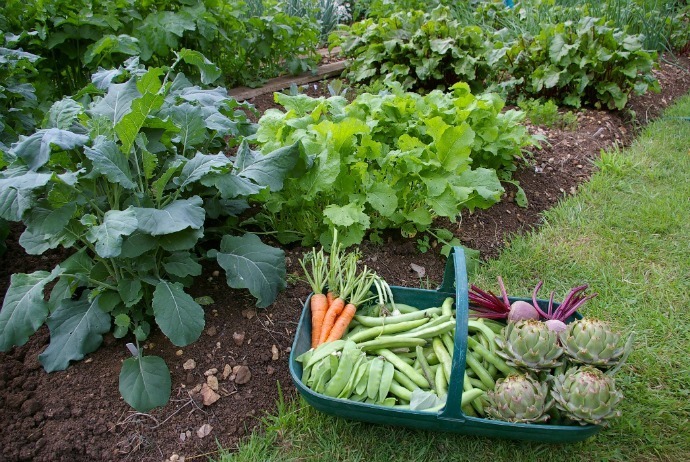 In the background of chilly climate, Sapa is a place of typical vegetables of temperate regions such as broccoli, cauliflower, beets, chayote, etc. Vegetables grown in Sapa are sweet and soft. The most popular vegetables in Sapa include boiled chayote dipped into sesame salt, geese stir-fried with garlic, chicken soup served with vegetables. Unlike salmon, sturgeons imported are usually slightly fatty. Cold-water fish farmed in Sapa have firm meat, no fat. In the cold weather of Sapa, a pot of salmon/sturgeon eaten with fresh vegetables will impress customers. Salmon or sturgeons could also be sliced thinly to mix with grilled dishes or salads. This is the pig breed of Hmong people raised in the form of free-roaming. Occasionally, local people grab a pig and put in their armpit, and go to the market for trading, so that is why this pig type is called armpit grabbed pig. A mature armpit grabbed pig often weighs 4-5 kg. Pigs are cleaned, marinated then grilled the whole. This dish is ideally served with apple cider alcohol of Sapa, bringing a great eating experience to tourists. 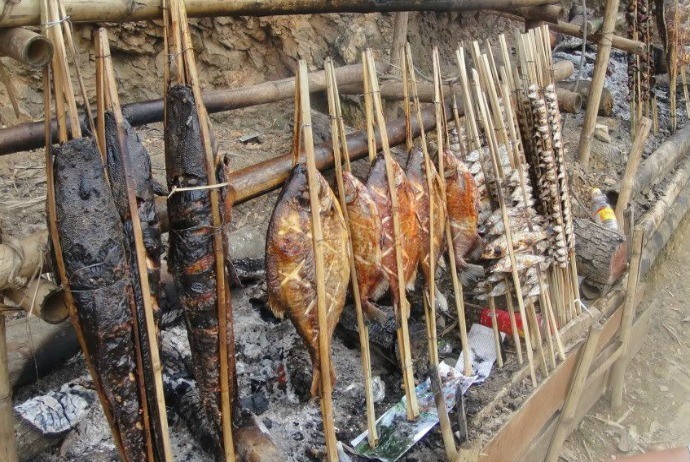 Maybe, because of cold weather in Sapa, whatever dishes here are brought out for barbecue, from chicken eggs, duck eggs, meat skewers, meat wrapped with vegetables to chicken legs and wings, corn, potatoes, and many other special dishes made by Sapa people. In the evening, the barbeque area near Sapa stone church is a place attracting tourists the most thanks to its warm space and delicious dishes suitable for cool weather in the mountain town. Stream fish has many types and it is noteworthy that they are not fishy. The fish is grilled on charcoal, and served instantly while it is still hot. Many people just grilled quickly and bring to cook with tomato sauce along with curry powder, pepper powder and then eat with rice. Go into Sapa market in any season, you are invited to buy dried mushrooms, which are specialties of Sapa. The price is about 50,000 VND/0.5kg. Dried mushrooms are soaked in water and swells, they still remain the scent of the mountainous land, the taste of forest. If you are a gourmet, you could ask the restaurant to serve the sautéed mushroom foot or some other attractive dishes made from mushrooms. 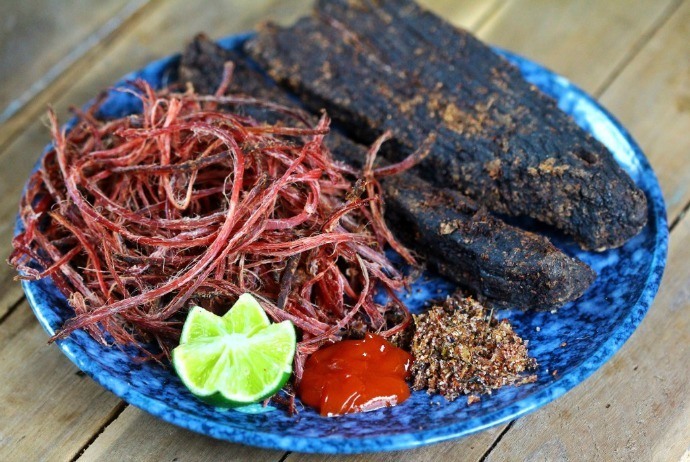 With ethnic people, “Thắng Cố” is often cooked with the meat of pigs, beef… In fact, the delicious Thang Co needs 27 different spices such as anise, cinnamon, cardamom, chives… Forest vegetables are the second important part of this dish. It is hard to describe how special the flavor of this dish is: fatty, sweet, fragrant. There is nothing fun than sitting next to the boiling pan of thang co, eat and sip a cup of corn wine, feel warmer in the cold weather of the mountainous town of Sapa. 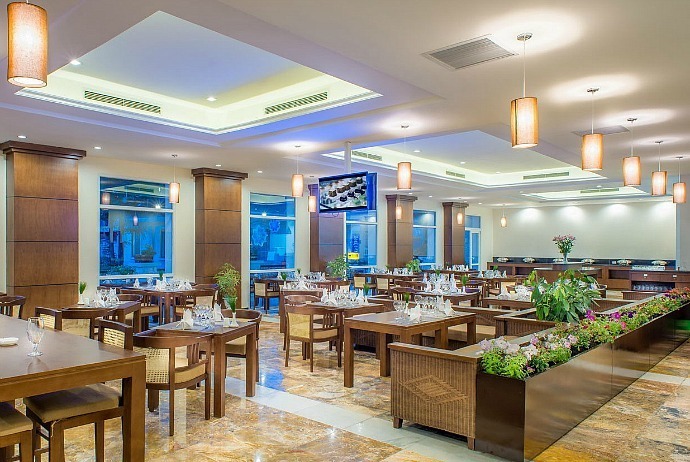 The most famous restaurants of Thắng Cố are Ma Le (Mã Lệ), specializing in Thắng Cố from horse, and A Quynh (A Quỳnh) at 015 Thach Son (Thạch Sơn), Sapa. Also called as “evil chicken” which is very small, just about 1.2 kg each one, this chicken has black skin, and looks a little bit terrible at first. It could be processed into many great dishes, particularly the baked honey one. The evil chicken will be grilled and served with peppermint leaves and lemon salt. If any visitor coming here has not enjoyed this dish yet, it will be a big pity. Their trip will not be called as perfect. Different types of meat, from pig meat, horse meat, and bovine meat will be hung up in the kitchen for drying. Bovine meat is sliced into pieces of about 2-3kg, string and hung upstairs for food storage. The meats when being hung up will be dried out slowly and stored years. When eaten, just simply cleaned the soot and dust and put into sautéed with tomatoes and asparagus. The meat has fragrant and fleshy taste. Also, in Sapa, Lao Cai, there are other specialties such as Bac Ha plums with green shells, Bac Ha bird leg mushrooms, bushmeat of Nung Din people, Bac Ha alcohol, San Lung alcohol, “Cuon sui”, steaming cornmeal, herbs, “Pau po cu” (Páu pó cừ) corn cake, “Pau plau” (Páu plậu), “Tau lu” (Tẩu lư), “Pau co”, (Páu cò) smoked pork sausage…. You should not buy drugs or Genoderma, or ventricular along the road to Ham Rong (Hàm Rồng) because this is mainly brought from China – not as good as the advertisement and being costly. You could buy souvenirs in the night market near the foot of Stone Church but remember to bargain carefully. The brocade with eye-catching colors is usually Chinese. 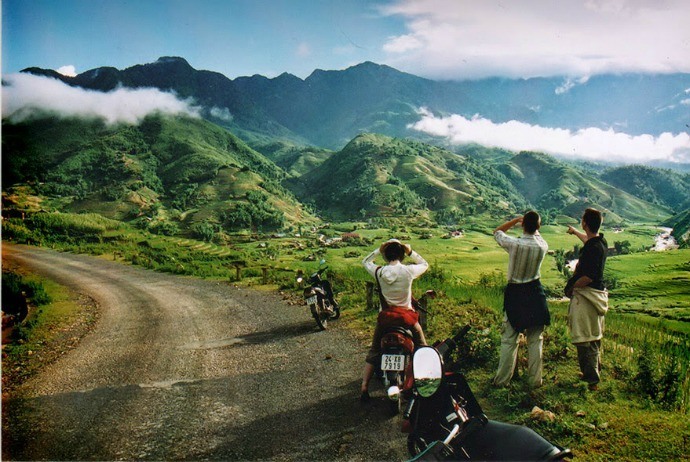 If you intend to drive the bike on your own, buy Sapa tourist maps which are sold in tourist offices or at the ticker counter to Ham Rong Mountain. Note that the road in Sapa is steep, just fit the professional drivers. 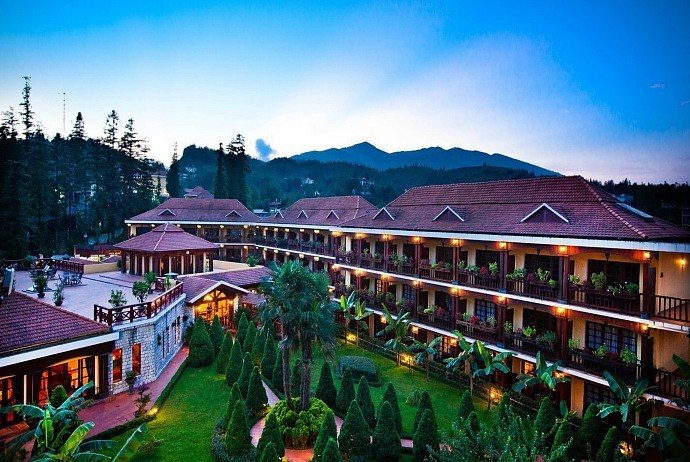 If you want to get to know more information about tours in Sapa, you can ask the receptionist at the hotel front desk. If you buy the overnight tour, ask the hotel if you could be cut down the room cost on that day? If it is not winter, it is not necessary to bring too warm clothes during the day because you will have to walk a lot). Just take note to wear warmly in the evening. Whether you are traveling under the form of a backpacker, you should still hire a tour guide. 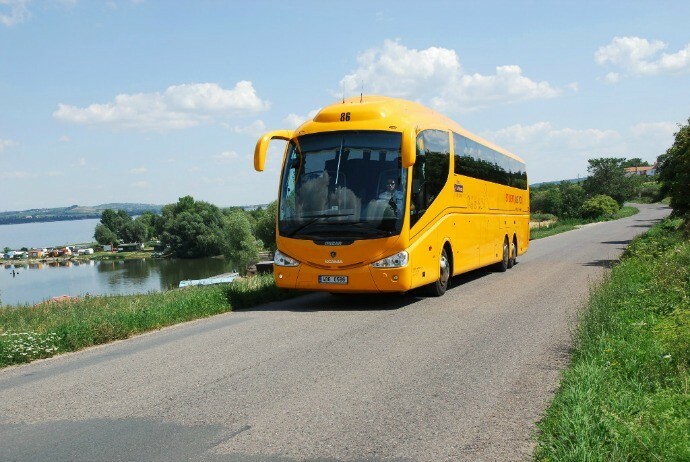 They have experience, so they will guide you to discover the very interesting routes. After the walking tour of visiting places, in order to save energy, you should hire a taxi or “xe ôm” to come back to your accommodation place. From Lao Cai to Sapa, the differences of roads are very large, so bring along a headphone to avoid buzzing. Terraced fields are beautiful in most seasons, particularly in spring, grain season or pouring water season. Even from May to June each year, terrace fields in Sapa will give you a chance to take dreamlike photos. Season terraces almost always beautiful, especially spring, grain or pour water season, even around May 5-6 annual crop fields into rice paddy Sapa. You will have beautiful photos dreamlike terraces with Sapa as a backdrop. Stone church in Sapa is located in the heart of Sapa, built in 1895, is the oldest church in Sapa, having ancient French architecture which is very unique and special. This becomes an indispensible part when it comes to Sapa. Adjacent to the church is the Sapa square and Cau May (Cầu Mây) neighborhood with many romantic cafes. You could be spoiled for choices of places to take shimmering photos. When traveling to Sapa, you should not miss the chance to visit the village of Black H’mong (Lao Chai (Lao Chải)) and Giay (Giáy) (Ta Van (Tả Van)), or walk to Ta Phin (Tả Phìn) to learn about the daily life of Red Dao and Black H’mong. The beauty of nature, lifestyle and culture which cannot be mixed here will make your trip more attractive and interesting. Here, visitors will not only get beautiful pictures but also have the chance to chat with locals to understand the differences in their traditional culture. 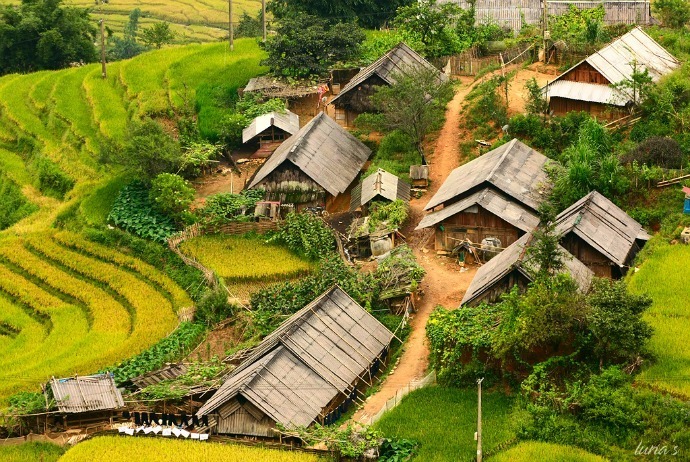 Muong Hoa Valley is located in Hau Thao (Hầu Thào) (commune, about 8km away from Sapa to the southeast. From Sapa town, crossing a mountain pass, along the high mountains, you will come to Muong Hoa Valley. The special thing about this valley is the ancient rock beach sculpturing many different shapes, situated in between trees and terraced fields of ethnic minorities. Visiting here, you can comfortably take pictures without worrying about running out of beautiful scenes. When it comes to beautiful place for taking photos in Sapa, it could be a pity if not mentioning to Ham Rong Mountain. It is located right next to Sapa town, about 3km away. Tourists can walk to it. Standing on top of Ham Rong Mountain, you could get a panoramic view of Sapa, Sa Pa (Sa Pả), Muong Hoa (Mường Hoa) valley, and Ta Phin (Tả Phìn) hidden in smog. Sapa has a bridge made by rattan crossing the poetic Muong Hoa (Mường Hoa) stream. From the main road, to go to Cau May, you could take the new road with many steeps. This famous bridge is made from rattan only available to cater to travelers. Of course, normally, when visiting this bridge, you can walk about 3km to enjoy the mountain, forest scenes or hired a motorbike taxi to transport. Do not forget to thoroughly prepare for the clothes. Most tourists choose to wear a skirt, dress, ethnic costumes to take great photos. Going out of Sapa town, go to the north about 18 km, the road to Sky Gate is winding halfway up the mountain. The road is named Tram Ton (Trạm Tôn), weaving between the majestic Hoang Lien Son (Hoàng Liên Sơn) mountain range. The Sky Gate is the top of this pass. This place attracts a lot of professional and amateur photographers coming to save the spectacular scenery here. Tourists when coming here could drop their soul into cloudy sky and mountains. From here, you could take unique, fancy and beautiful pictures. On the way from Sapa town to Silver Waterfall, there are unlimited beautiful scenes for you to take photos. You could have a shimmering photo album with the stretching tea hills, romantic lakes or brilliant rose gardens as the background. Back center, about 2km from the town, Vong Canh tower is located on the way to Cat Cat (Cát Cát) village. Located on a hill separating between Sapa town and Cat Cat village, this is the place having the most beautiful scenery in Sapa.